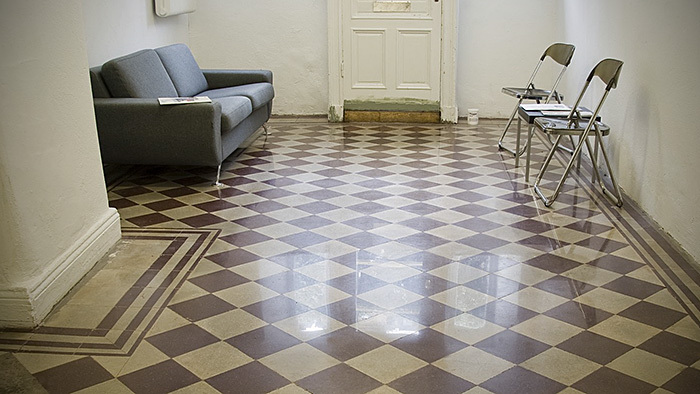 As for every type of floor, HTC has developed a special method for marble grinding and marble polishing to assure the quality and appearance of the floor. 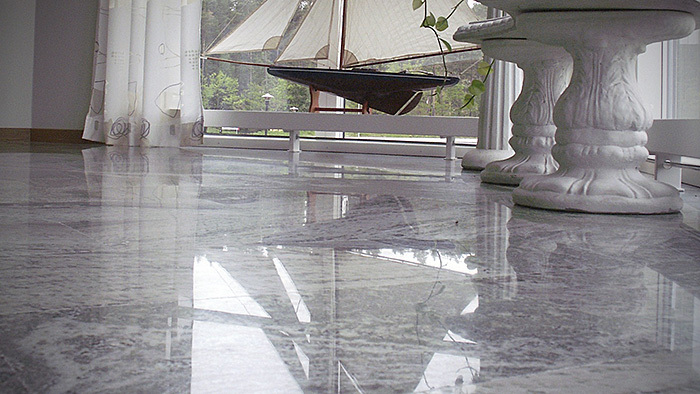 The HTC method for grinding of marble gives the marble floor a unique luster, quality and evenness. The machines patented grinding head and the specially designed diamond tools guarantees a flawless result. Inspect the floor carefully to check how level the slabs are, if there has not been a final grinding performed at construction. With small differences (up to approximately 1 mm) in between individual slabs, a normal SF-series tool could be used. However, with an uneven floor, there is a risk of chipping and a plastic ring tool (segments embedded in a solid plastic ring) should therefore be used instead, for the first stages of the grinding. Be very careful and make sure all grooves from the previous stage are eliminated. Clean the floor after every stage to remove all abrasives of the previous coarser type. As a final step we recommend diamond impregnated pads. HTC can also give you advice for a dry grinding procedure. This is however a more difficult method not generally applicable, since it is only suitable for specific types of marble floor.